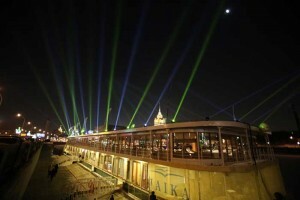 Clay Paky’s lightweight yet powerful A.leda Wash K20 luminaires and pure beam Sharpys have teamed up to create a ‘Las Vegas-style’ light show to launch a new floating restaurant in Moscow. 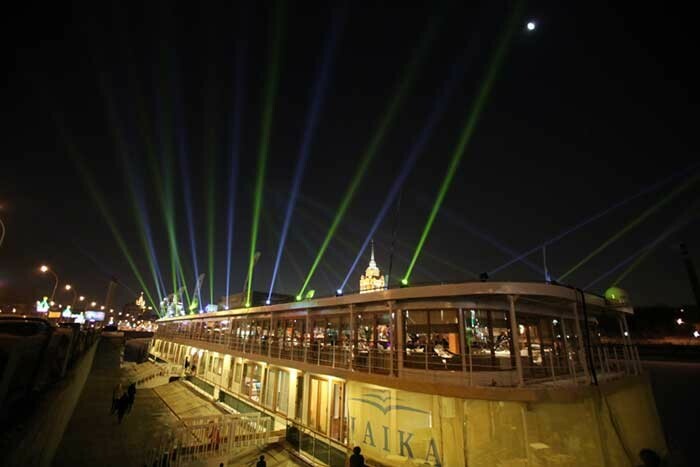 The Moscow-based Arlecchino Group, which supplies lighting to events across the region, provided the robust and lightweight Clay Paky A.Leda Wash K20s and the high output Sharpys for the launch of the restaurant on a boat, named ???? ?, or ‘Seagull’, which is moored in the centre of the city. "The idea was to create an atmosphere of Las Vegas, beaming powerful light beams into the sky," says Sergey Kupriyanov, general director Arlecchino group. "To achieve this we used 39 Clay Paky Sharpys complemented by the A.leda Wash K20s, which were positioned around the roof of the boat. These pointed outwards and moved up and down from a horizontal beam to beams projecting upwards towards the sky." Slawa Gartung, CIS Representative for Clay Paky comments: "Weighing just 19 kg and offering a light weight and modest footprint, the Sharpy is small enough to be fitted anywhere. Indeed this has been proven with so many so easily rigged on the roof of the boat. They delivered incredibly powerful beams and stunning output which delivered amazing results for the project." The Sharpys were complemented by a number of A.LEDA WASH K.20s. 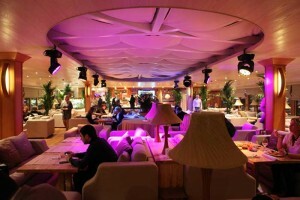 "These are the first professional Clay Paky fixture to use LEDs as light sources," continues Gartung. "The fixtures are fitted with multicolour RGBW LEDs that produce a full range of vivid colours as well as excellent shades of white. The colour of each LED can be controlled separately, enabling the lighting designer to create an endless range of colours from saturated to pastel." In fact the boat owners were so impressed with the Sharpys that they have subsequently purchased four, each with a Clay Paky tough IGLOO enclosure. "The IGLOOs offer complete protection against rain and humidity, and maintain the ideal working temperature (between 0°C and 35°C) for fixtures, even in hot or sub-zero conditions," states Gartung. "The client was hugely impressed with the result and we’re already seeing many other uses for this kind of versatile but reliable lighting fixtures on events and product launches," concludes Kupriyanov. 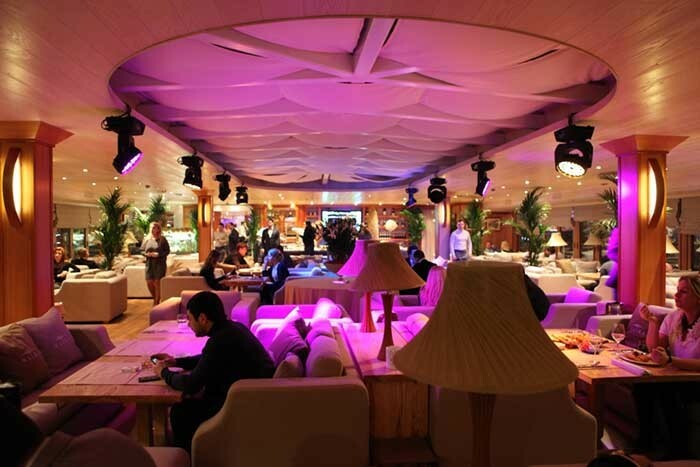 "Clay Paky fixtures are in high demand from our clients and we look forward to working with the full range of products on other upcoming projects."